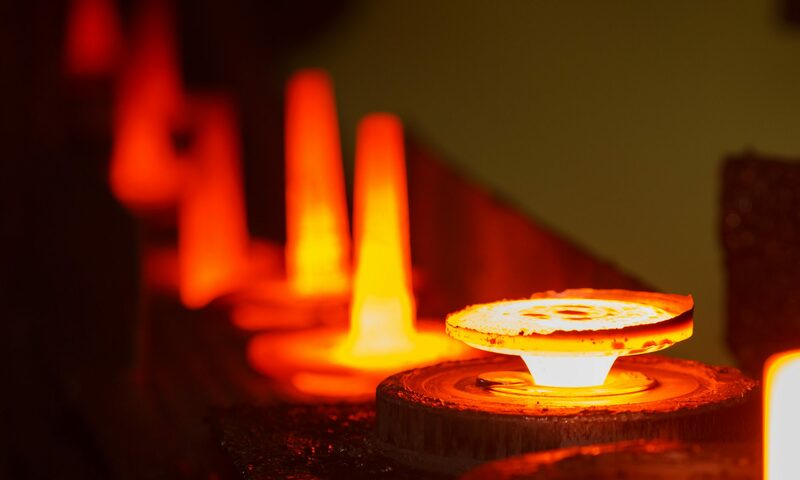 Forging Simulation – Forge Technology, Inc.
QForm was originally designed for the simulation of closed die forging and it is ideally suited for this process. The software accurately shows material flow in the dies and predicts defects such as non-fill, laps, and flow-through defects as well as stress, wear and deformation in the tools. QForm can easy simulate almost any kind of 2D (axisymmetric) or 3D forging in virtually any type of equipment. It can simulate closed die forgings with any number of tools working on any axis as well as open die and cogging operations. QForm accurately models the peculiarities of the forging equipment. For example a simulation in a mechanical press takes into account the deceleration of the ram as it approaches bottom dead center. It can accurately model standard mechanical presses as well as scotch yoke type presses. For forging on energy related machines such as hammers and screw presses, QForm allows you to vary blow energy just like on your equipment. QForm accounts for the available blow energy allowing you to predict the number of blows required for each impression and it will predict if the blow energy is sufficient to complete the forging. A simulation will show you the temperature, deformation and stress distribution in the workpiece and tool, as well as the grain flow in the forging. The accurate forging force and energy consumption analysis allow you to select the most suitable forming equipment for the forging. An engineer can optimize the process to avoid defects, reduce material consumption and enhance production without costly forging trials.